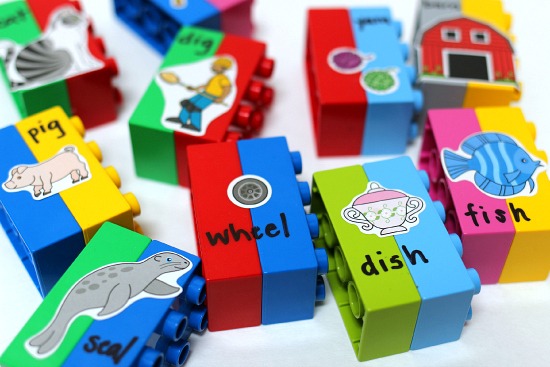 This Duplo rhyming game is fantastic because you can make a bunch or just a few and it gives you another way to use these awesome blocks even if your kids insist they are too bog for them now. 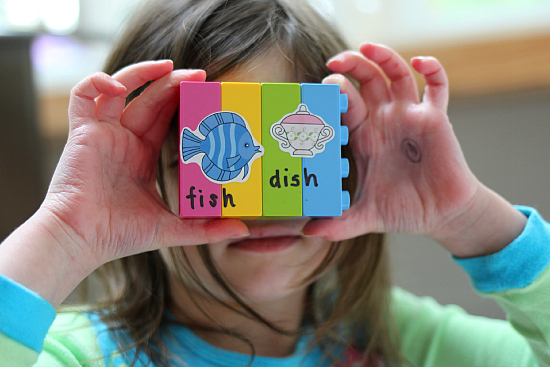 Rhyming is an important building block for reading and a fun one to work on with kids if you only have a few minutes. This only takes a couple of minutes to put together and while I used stickers if you have a talent for drawing you could draw the images too. Do not worry about using permanent markers on Duplo, I’ll show you a trick at the end of the post to get it all off when you want to. 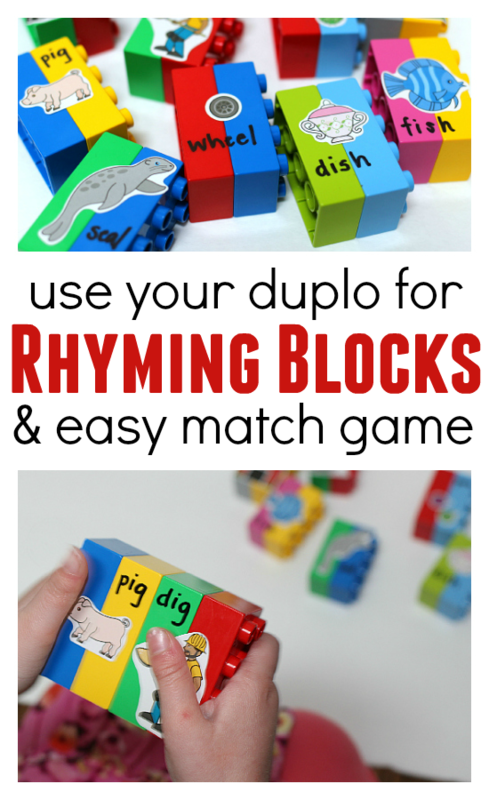 Check out all the fun we had with these simple Duplo rhyming game. Gather your materials. 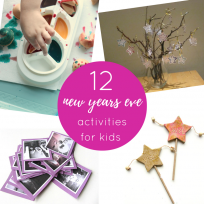 You will need some Duplo (although any blocks will work but it is extra fun to click them together), a permanent marker, some stickers or a talent for drawing, and a child eager to rhyme! 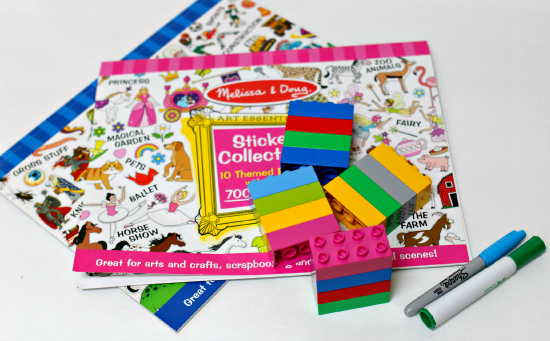 Dig through the stickers and find some rhyming items. 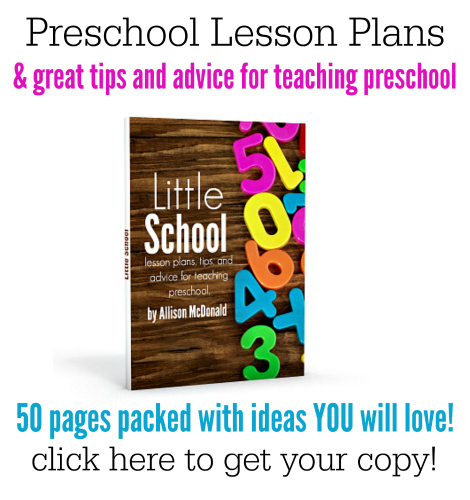 This is easier than you might think. Ours were: cat/bat, dig/pig, dish/fish, wheel/seal, and barn/yarn. Some other rhyming pairs found just these two sticker pads are: goat/boat, tree/flea, cone/bone, rat/cat, and rock/sock. 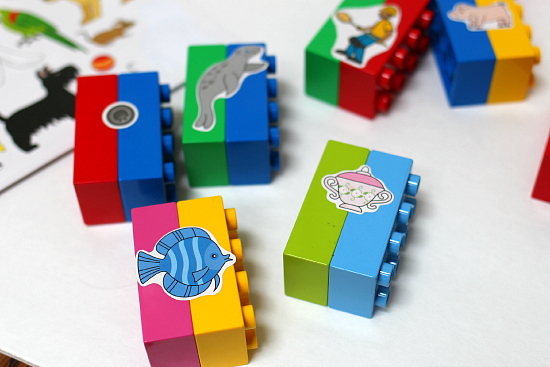 Stick the stickers on the blocks. It doesn’t matter if they are vertical or horizontal. 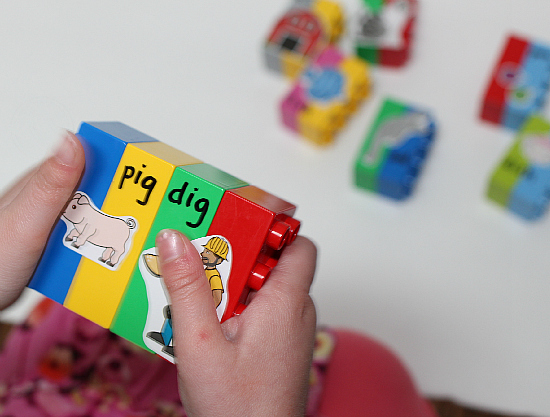 Break the pairs up and invite your rhyming wizard to come and match these blocks up! This is where the power of Duplo came in. 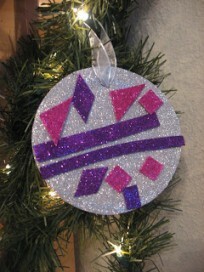 It was just enough of a novelty to get her excited about checking out what Mama created for her. I was so pleased when she not only matched them up but used the written words to make deeper connections. I said I’d tell you a little trick to get permanent marker off these blocks. 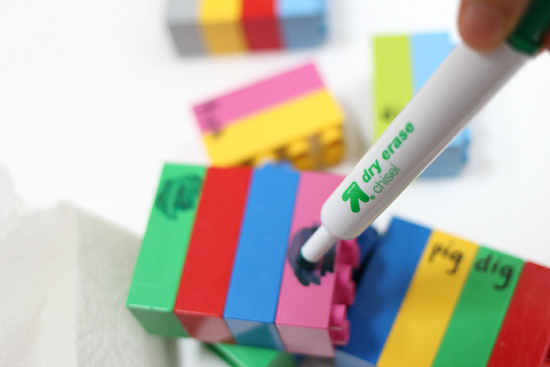 Simple write over it with dry-erase marker. Then wipe. That’s it! 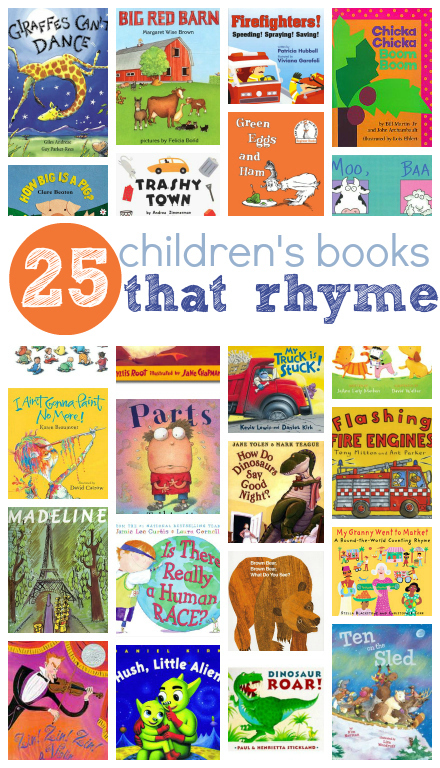 Keep the learning going with some great books that rhyme! For other fun activities, make sure to follow me on Facebook! 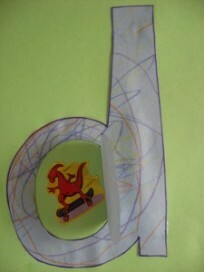 Previous Post: Dinosaur Plates – Make Snack Time Fun! This is great. 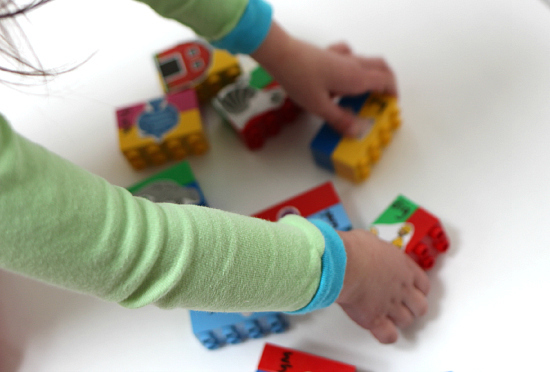 What a fantastic way to use the duplo blocks.